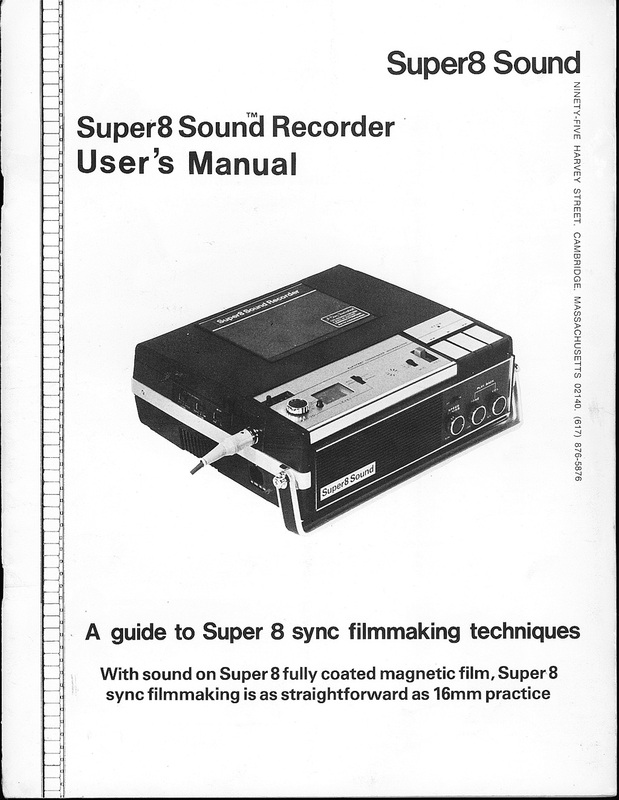 The Super 8 Sound Recorder brings to Super 8 the straightforward double-system editing techniques of l6mm and 35mm filmmaking, because fullcoat magnetic film can be easily cut frame-for-frame alongside picture film. Super 8 magnetic film has been coated its full width with magnetic oxide in much the same way the edge stripe is applied to Super 8 sound films. The magnetic oxide is the emulsion. There is no picture area. Since fullcoat magnetic film has precisely the same width, sprocket hole size, and distance between holes as picture film, it will run through the same machines that accept film, including projectors, synchronizers, and editing tables. The comprehensive instructions that follow include the theory of sync operation, detailed descriptions of how to use the Recorder in ten different basic sync applications, suggestions for unusual uses, and several technical appendices.